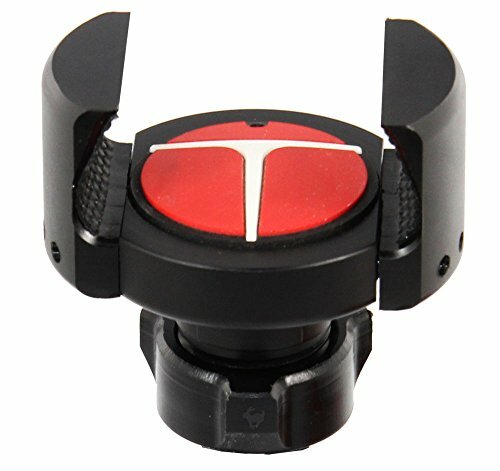 MIRROR MOUNT - Mount using an unused mirror hole on your Harley. MOUNT CAN FIT - Most Harleys' mirror holes. THE TECHGRIPPER - Is the most secure and attractive mounting system for your cell phone, GPS, MP3 player or any other personal device. Gripping Power is 18 pounds per square inch and the claws spread as apart as far as 4.3 inches, enabling you to mount all models of cell phones and/or smartphones (including the Samsung Note and iPhone 6) while even in a case. THE TECHGRIPPER - Cell phone holder portion is injection molded using DuPont Delrin Acetel resin and utilizes a stainless steel spring mechanism. This enables our mounting systems to be UV Proof, heat resistant and waterproof. If you have any questions about this product by Techmount, contact us by completing and submitting the form below. If you are looking for a specif part number, please include it with your message.